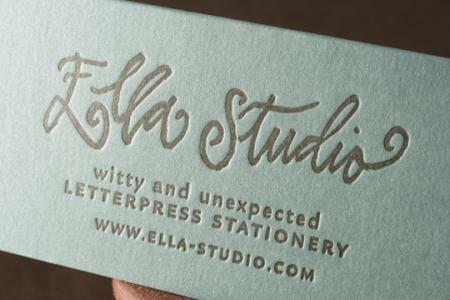 Ella Studio is a graphic design and letterpress studio located in Pittsburgh, PA. In addition to our greeting card line, we create personal and business stationery including wedding invitations, birth announcements, business cards and other ephemera. We’re also happy to accept your artwork for printing-only jobs. Capabilities include graphic design, letterpress printing, die cutting, creasing, perforating, corner rounding and hole punching. I have beautiful, if not witty and unexpected, paper for sale in large sheets. Can I send you a list of my inventory? I assure you that the price will please you.